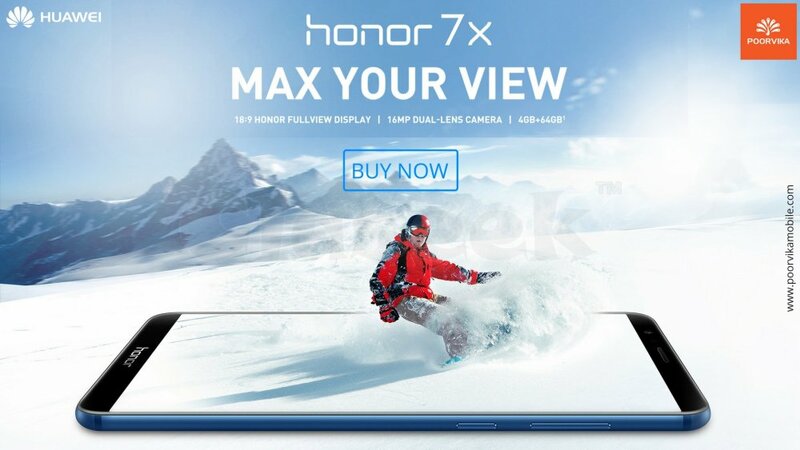 Huawei Honor 7X is made with dual lens back camera 16MP + 2MP with new portrait mode can capture attractive and specialized images in a single shot, 8MP front camera captures wonderful selfies. The mobile is with two different variants of memory (4GB RAM + 32GB ROM, 4GB RAM + 64GB ROM) with Octa-Core KIRIN 659 Processor, The Display is 5.93' inch Edge-to-edge all-screen design, with a high screen-to-body ratio and 2160x1080 pixels, FHD+ Resolutions. Poorvika mobiles give the best offers and deals for huawei mobiles. To Check Huawei Mobile Phones Price List in India at Poorvika Mobiles.